If you want to schedule a post to go live on a particular date, please follow the instructions or watch the video below. Create a post by using a Passle button or from scratch and save as a draft. Go to the Passle dashboard and the relevant edit post page > Scroll to the bottom of the page to view the Schedule Post box. Choose your preferred date of publishing from the pop-up calendar. Your post will then be scheduled for publication on that particular date. This can be overridden by selecting the Unschedule post button (at the foot of the edit post page), or published immediately by selecting the Publish button (at the top of the edit post page). 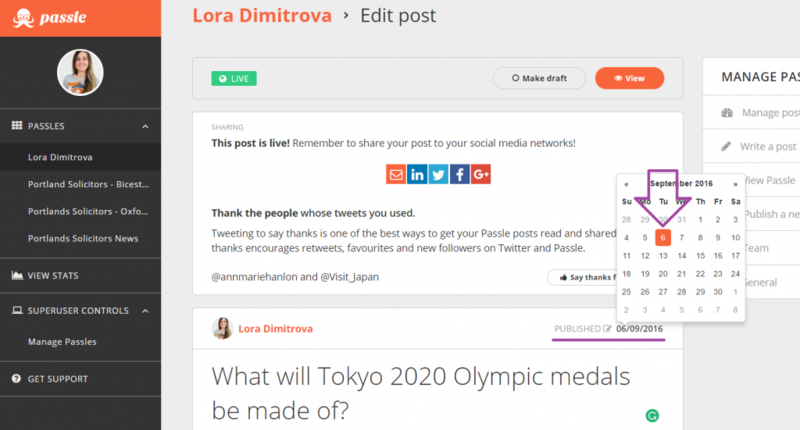 Create a post by using a Passle button or from scratch and publish it. Go to the Passle dashboard and the relevant edit post page > Select the date in the top right corner of the post. 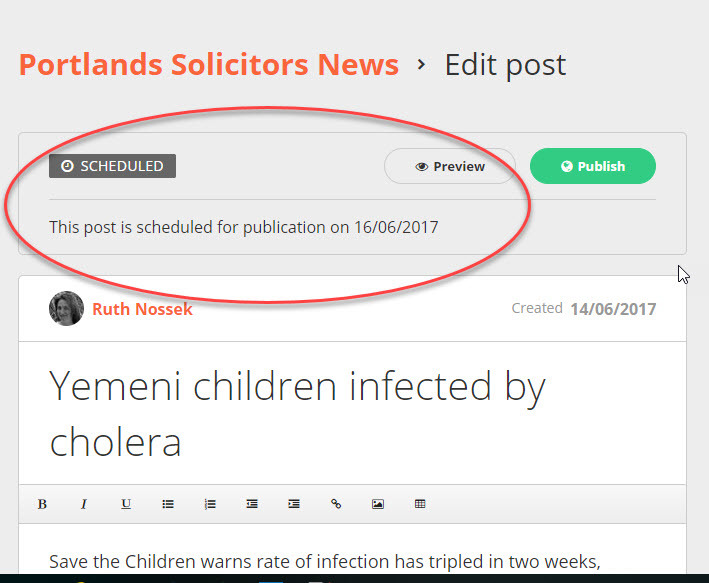 If you want to rearrange the order of your posts as they appear on your Passle page, you can do this by editing the dates. Your posts on your Passle page will always be displayed in reverse chronological order.